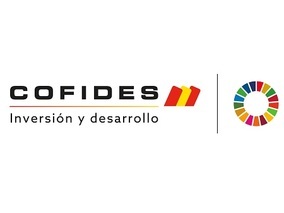 Compañía Española de Financiación del Desarrollo, COFIDES S.A., S.M.E., is a joint state and privately owned company founded in 1988 that provides cost-effective medium and long term financial support for viable private direct investment projects in foreign countries, where there is a Spanish interest. 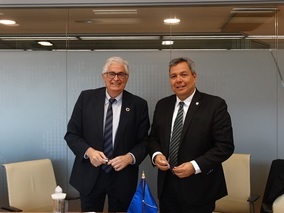 The ultimate aim is to drive forward a profitable business that contributes both to host country development and the internationalisation of Spanish enterprise and the Spanish economy. 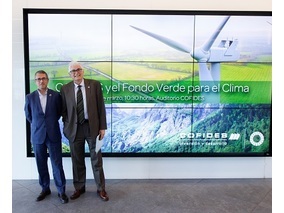 In order to meet this dual goal, COFIDES uses its own resources to finance investment projects located in emerging or developing countries, and it also manages on behalf of the State (State Secretariat for Trade, within the Ministry of Economy, Industry and Competitiveness) the FIEX and FONPYME Funds, created to finance investment projects abroad regardless of the development level of the host country of the project. 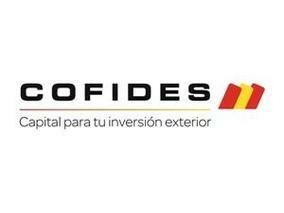 COFIDES’ total financing capacity is about €2.5bn. The activity of COFIDES, as a private public concern, complements with additionality criteria the resources offered by the market and those provided by investors of the projects themselves. COFIDES always acts on a shared risk basis. According to this criteria, COFIDES financing will not normally go beyond the sponsor’s own contribution to the operation. 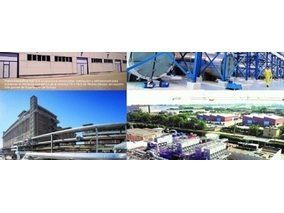 Through the financial products offered, the Company is in a position to invest in principle, between €75,000 euros and €30m per project. 53% of COFIDES share capital is held by the first three public institutions. COFIDES is a founding member of EDFI, an association of 15 bilateral institutions for funding in developing countries. 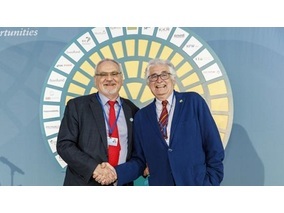 COFIDES is an active member of the Spanish network of Global Compact. COFIDES has been ISO9001 certified since 2005, for all its activities related to the quality of Customer Service. These types of shareholdings are always minority, transitional and subject to a repurchase agreement with the Spanish investor. COFIDES does not participate in the day-to-day management of the company. Includes subordinated or syndicated joint venture loans with repayment linked to project results. These loans may be denominated in euros or other exchange currencies. With repayment terms associated with the return period envisaged for the project, normally from three to ten years, and combined with lengthy grace periods during the early years of a project. Provision is made for repayment terms associated with the return period envisaged for the project, normally from three to ten years, and combined with lengthy grace periods during the early years of a project. These loans are designed to enable investors to undertake a number of investment projects in different countries within a specific time frame. Any given project may benefit from a combination of the above products. The COFIDES mission rests on the core values described below. COFIDES bases its dealings, in relation to the private financial sector offers, on the principle of additionality. The key undertaking is that their activities can be both justified and maintained over the long term. COFIDES recognises the inherent risks of the activities in which it is involved, and is committed to managing these risks using the most advanced techniques and tools available. Based around compliance with a series of guiding principles and an established code of ethics that are intended to promote both sound investment coupled with social and environmental sustainability, whilst at the same time attempting to ensure the long-term economic development of local communities. Estimating the development-generated impact of investment in the host country as well as the effect on its IDE (Tax on cash deposits) and on the business fabric of the country are also key elements. COFIDES operates within a quality framework, applying a transparent and efficient internal management model. 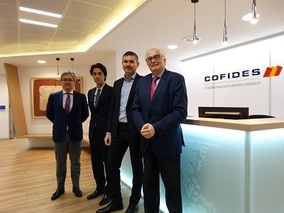 COFIDES is aware of the importance of providing accurate and reliable information about its own market activities, its shareholders as well as the company in general, ensuring the demands of confidentiality are securely met in the management of its business. COFIDES can back projects in all productive industries, including businesses conducted to permanently market Spanish goods or services, where assets requiring medium/long-term financing are involved. COFIDES’ participation in eligible countries’ financial sector is reviewed on a case-by-case basis, analysing the merits and characteristics of each specific project in detail and in particular their favourable impact on Spanish enterprise and the Spanish economy. COFIDES does not invest in real estate or defence sectors (except for the manufacturing and marketing of parts, components and subsystems used for non-lethal defence products in a European Union or NATO country), nor where there is inclusion in the Environmental and Social Policy excluded activities list. 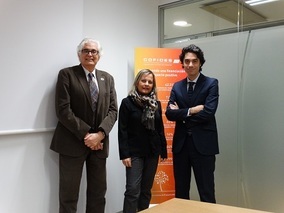 COFIDES’ operations generally involve projects in the same industry or business as the sponsors, which must be in possession of sufficient experience in this regard.